In this paper we give a comprehensive overview of our node-level optimization of the high-order finite element software SeisSol aiming at minimizing energy- and time-to-solution. SeisSol simulates dynamic rupture and seismic wave propagation at petascale performance in production runs. In this context we analyze the impact that convergence order, CPU clock frequency, vector instruction sets and chip-level parallelism have on the execution time, energy consumption and accuracy of the obtained solution. 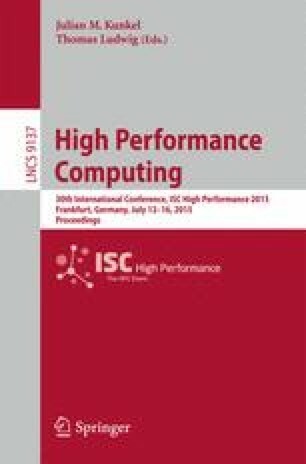 From a performance perspective, especially on state-of-the-art and future architectures, the shift from a memory- to a compute-bound scheme and the need for double precision arithmetic with increasing orders of convergence is compelling. Our results show that we are able to reduce the computational error by up to five orders of magnitudes when increasing the order of the scheme from 2 to 7, while consuming the same amount of energy. Our project was supported by the Intel Parallel Computing Centre “ExScaMIC - Extreme Scalability on x86/MIC”. We gratefully acknowledge the respective support by Intel Corporation. Optimization Notice: Software and workloads used in performance tests may have been optimized for performance only on Intel microprocessors. Performance tests, such as SYSmark and MobileMark, are measured using specific computer systems, components, software, operations and functions. Any change to any of those factors may cause the results to vary. You should consult other information and performance tests to assist you in fully evaluating your contemplated purchases, including the performance of that product when combined with other products. For more information go to http://www.intel.com/performance. Intel, Xeon, and Intel Xeon Phi are trademarks of Intel Corporation in the U.S. and/or other countries.